I always look forward to these end of year recap posts for because there's something I love about reflection. It's nice to stop, think back over what's happened this year and gather my thoughts before starting the new year! EXCEPT OOPS IT'S ALREADY FEBRUARY 2017, SO I AM A TOTAL FAILURE. There are two memoirs that I couldn't wait to read in 2016 because I love the authors: The Magnolia Story by Joanna & Chip Gaines and Talking as Fast as I Can by Lauren Graham. Unfortunately, they ended up being majorly disappointing for largely the same reasons: lackluster writing and not enough content. 3. Most surprising (in a good or bad way) book of 2016? There are a few books that fall into this category, but I'm going to choose Eligible by Curtis Sittenfeld. I didn't have high hopes for this Pride and Prejudice retelling, but I was pleasantly surprised by how much I enjoyed it. It wasn't a perfect read, but I enjoyed the way my favorite book was updated for modern times! 4. Book you "pushed" the most people to read in 2016? I don't feel like I "pushed" many books in 2016. It's not that I didn't read books worth recommending - I just didn't spent very much time blogging or tweeting last year! But I've pushed Mhairi McFarlane on a bunch of friends because all of her books (especially Who's That Girl?, her 2016 release) are fantastic. 5. Best series you started in 2016? Best sequel of 2016? Best series ender of 2016? Best series overall in 2016? The best series I started was Disruption by Jessica Shirvington, best sequels were A Court of Mist and Fury and Empire of Storms by Sarah J. Maas, and best series ending was The Winner's Kiss by Marie Rutkoski. And favorite series overall goes to Six of Crows and Crooked Kingdom by Leigh Bardugo! I highlighted ten favorite new-to-me authors in this Top Ten Tuesday post, and it's hard for me to pick one for this question! I think I'm going to go with Beatriz Williams - not because A Hundred Summers was my favorite book from a new-to-me author but because I'm most excited about reading through her backlist! 7. Best book from a genre you don't typically read? I was struggling to chose my answer to this question because of lot of my 2016 reads were from my go-to genres, but I rarely pick up self-help books so I think Year of Yes by Shonda Rhimes fits the bill! This memoir with a dose of self help was an inspiring, unforgettable and new favorite non-fiction read. 8. Most action-packed, thrilling, unputdownable book in 2016? I think Six of Crows and Crooked Kingdom by Leigh Bardugo were two of the most unputdownable reads that I picked up in 2016. I was so glad I waited to read this duology until both books were published because I didn't want to stop once I started! I was on the edge of my seat while reading and had no idea how it would end. I'm having a hard time answering this question because there are several books I'd really love to re-read this year. But there are several books in a series that I'm probably most likely to read, and A Court of Mist and Fury by Sarah J. Maas is at the top of that list. I want to refresh my memory before the final book releases! 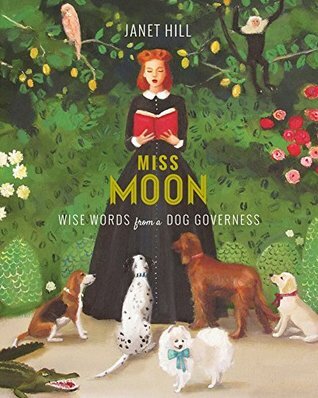 There were so many books I read with excellent covers this year, but my two favorites have two big things in common: they're both picture books and feature dogs. 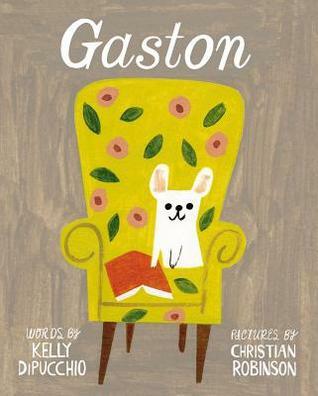 Gaston by Kelly DiPucchio and Miss Moon by Janet Hill are adorable inside and out, too! I thoroughly enjoyed both books. 11. Most memorable character in 2016? I have to go with Rhysand from A Court of Mist and Fury by Sarah J. Maas. You definitely can't call him forgettable! There were so many memorable moments in that book - often due to Rhys! I'd also like to gloat about the fact that I CLAIMED HIM ages before everyone else (as this post from 2015 proves). Get in line, y'all. I'm a little surprised to say that the the first two books that came to mind are both Middle Grade: A Snicker of Magic by Natalie Lloyd and Cartwheeling in Thunderstorms by Katherine Rundell. Both had so many sentences that I read multiple times because they were so delightful! They were slightly quirky and full of heart. 13. Most thought-provoking book in 2016? I read a lot of thought-provoking fiction in 2016, but I spent more time reflecting on the non-fiction I read in 2016: Modern Romance by Aziz Ansari and all the ways dating and romance have changed, For the Love by Jen Hatmaker and having grace for myself and others, Year of Yes by Shonda Rhimes and how fear can hold us back, Where the Light Gets In by Kimberly Williams-Paisly and the devastating impact of dementia and Hope Heals by Katherine and Jay Wolf and holding on to faith and hope in the midst of loss. Honestly, I can't believe how long I waited to read Life After Life by Kate Atkinson. I got it for Christmas several years ago, and I kept putting off reading it. I think I imagined that it would be slow or hard to get into? But it turned out to be such a compelling read. The concept was definitely a little confusing, but I loved it in the end. “Don't expect someone who doesn't know who they are to care who you are.” - Who's That Girl? Excluding picture books that I read to my baby, the shortest book I read in 2016 was And Every Morning the Way Home Gets Longer and Longer by Fredrik Backman at 76 pages. And the longest books I read were Voyager and Drums of Autumn by Diana Gabaldon, which clocked in at 870 and 880 pages respectively. I think I've got to go with Disruption by Jessica Shirvington. I've been a little tired of dystopian novels the past few years but decided to give this one a shot anyway. And I loved it! But there was totally something that happened in the book that made me yell "WHAT?!" while reading. Rhys and Feyre in A Court of Mist and Fury and Aelin and Rowan from Empire of Storms by Sarah J. Maas, obviously. And I adored seeing what happened between Arin and Kestrel in The Winner's Kiss by Mari Rutkoski, which is one of my favorite series. Lucy and Josh in The Hating Game by Sally Thorne made me feel very shippy. And I can't lie - I was dying for Kaz and Inej to kiss in Crooked Kingdom by Leigh Bardugo. The friendships in Six of Crows and Crooked Kingdom by Leigh Bardugo were my favorite, though Winter by Marissa Meyer was a close second. I have a soft spot for groups of friends that have each others backs and disrupt the status quo together! And I'm impressed these authors juggled so many characters so seamlessly. The first book that came to mind is Results May Vary by Bethany Chase. I really enjoyed her debut, The One That Got Away, but I felt like her second book was on another level entirely! Everything I loved about the first book - like her writing and the characters - was even better in the second. Honestly, I never would have picked up The Perfect Rake by Anne Gracie if Betty hadn't gifted it to me and Kelly and Alexa hadn't recommended it. I generally wary of historical romance, but this one ended up being just right for me. It was snarky, funny and made me so happy while I was reading it! I'd say Rhys but that's not a new crush, as we've already established. I loved Clark in The Unexpected Everything by Morgan Matson, Elliott in Who's That Girl? by Mhairi McFarlane and Joshua in The Hating Game by Sally Thorne, Alex in My (Not So) Perfect Life by Sophie Kinsella and basically all the guys in the Haven Point series by RaeAnne Thayne. It was a good year for fictional crushes in contemporary fiction! No question - The Hating Game by Sally Thorne stood out from all the rest! I absolutely adored this hilarious hate-to-love romance, thought the characters were so unforgettable, and found myself thinking about it long after I was done. I have a feeling I'll end up re-reading it sometime this year! 24. Most vivid world/imagery in a book you read in 2016? There were so many great options to choose from for this answer, but I decided to give it to Passenger by Alexandra Bracken because it successfully brought multiple worlds to life on its pages. I found each setting and time period so fascinating! Introducing the world and time travel made it a slow start, but it took off by the end. 25. Book that was the most fun to read in 2016? I binge read the Haven Point series by RaeAnne Thayne in December and loved every second I spent in this town! Each book brought a smile to my face, made me swoon and left me so thankful I took a chance on this series when I spotted them on sale one day. I can't wait for more books to be released this year! I think the most heart-wrenching fiction book I read in 2016 was The Choices We Make by Karma Brown. I can't imagine being in this situation! But the book that truly made me cry was Hope Heals by Katherine and Jay Wolf - it's was an emotionally devastating read, especially because it's a true story, thought it was full of hope, too. I'm not sure I read anything that truly qualifies as a hidden gem! I read a lot of gems, but they weren't exactly under-the-radar books. But I think Cartwheeling in Thunderstorms by Katherine Rundell comes closest because I haven't heard many people talk about it. 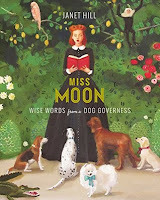 It was delightful, and I was thrilled that the story lived up to the cover! Without a doubt, the endings of A Court of Mist and Fury and Empire of Storms by Sarah J. Maas just totally crushed me. HOW COULD SARAH DO THAT TO US AND TO HER CHARACTERS? I still haven't recovered. I noticed a few parallels between the two series, and I'm desperate to find out how they'll both conclude. Although it wasn't a favorite, I think Lily and the Octopus by Steven Rowley was the most unique book I read. I don't want to try to describe the way it's written because I think it will sound even weirder than it is, so you'll have to check it out for yourself. But once you do, you'll understand why I think it belongs here! Although the entire series was pretty ridiculous, I was so frustrated about The Crown by Kiera Cass. What a disappointment! It felt like nothing happened - and probably should have been combined with The Heir into one book. The story focused on the romance, to the detriment of everything else, and was so rushed. I honestly don't think I discovered any new book blogs in 2016, but that's mostly because I spent less time online and reading blogs last year. If you have any recommendations, please tell me in the comments! I typically write pretty traditional reviews, but I loved this post because I was able to combine my thoughts on three books into a discussion post on three types of recommended reads. I'd love to try to write more discussion-style book reviews - including more personal posts inspired by the books I've read. I don't know if it counts as my best, but my favorite discussion post was Six in Sixteen: What I've Learned This Year. 2016 was a life-changing year for me, in so many ways, and I'm glad I paused to write down what I was learning in the midst of it all. And I really appreciated all the comments on the post! In 2016, I had the opportunity to attend two really fantastic book events. The first was a book signing with Markus Zusak, the author of The Book Thief. Markus was even more wonderful in person than I would have imagined, and he made the signing unforgettable by displaying his talent as a storyteller. The other event was the In the Company of Women tour, and it was so inspiring to hear from talented female entrepreneurs. I think my best bookish moment of 2016 (and best bookish memory!) is one that illustrates just how special my blogging friends have become in my real life: I came home from work one day to find a giant package on my doorstep. It was a "baby shower in a box" and was packed with lovely gifts and cards from so many of the sweet and thoughtful friends I've made while blogging. It was such a special treat! 6. Most challenging thing about your blogging or reading life this year? Finding the time to read and blog, for sure. I had a baby in May, which was a huge change. I didn't realize how much I got done by staying up late - something that definitely didn't happen in those early sleep-deprived days. And while we're in a more predictable routine now, I still have to be wise about how I use my time. My most popular post was Five Years of Favorites: The Books, which makes me really happy. I loved celebrating my five-year blogiversary and being able to highlight some of the very best books that I read during that time period. And as a huge sucker for quotes, it was fun to choose a favorite from each of the books. Is it cheating to mention a series of posts? I finished the year highlighting some of my favorite things from 2016, and I wish they'd gotten a little more love (partly because I was really hoping to get recommendations in the comments): My Year in Beauty, My Year in Music, My Year in Movies & TV and My Year in Books. I'll say bullet journaling, even though it comes with a disclaimer. I heard about the concept early in 2016 and tried it. I liked parts of it, but I just couldn't abandon my traditional paper planner. But I've recently created a reading/bookish bullet journal and LOVE IT. So I found the method in 2016 but didn't love it until this year. After looking back at my 2016 reading and blogging resolutions, I'm happy to say that I feel like I succeeded at what I set out to do at the beginning of the year. I took a big step back from blogging commitments and learned to keep it simple. It was definitely a more relaxed blogging year for me, which was what I needed! 1. One book you didn't get to in 2016 but will be your number one priority in 2017? There are three series enders that I can't believe I haven't read yet - The Rose and the Dagger by Renée Ahdieh, The Fate of the Tearling by Erika Johansen and Their Fractured Light by Amie Kaufman and Meagan Spooner. I'm hoping to read all of them in 2017! 2. Non-debut book you are most anticipating for 2017? All six of my most anticipated non-debut books are by favorite authors! The three adult books are The Good People by Hannah Kent, Close Enough to Touch by Colleen Oakley and The Seven Husbands of Evelyn Hugo by Taylor Jenkins Reid. And the three young adult books What to Say Next by Julie Buxbaum, A Court of Wings and Ruin by Sarah J. Maas and Strange the Dreamer by Laini Taylor. I cannot wait to get my hands on Romancing the Throne by Nadine Jolie Courtney and When Dimple Met Rishi by Sandhya Menon. Both of them sound wonderful and have covers that I absolutely love! 4. Series ending you are most anticipating in 2017? 5. One thing you hope to accomplish or do in your reading/blogging in 2017? I'm starting to sound like a broken record, but my biggest goal is to read more books from my To Be Read pile. I define my TBR as the unread books that I own and that list is long. Here's to hoping I make progress in 2017! 6. A 2017 release you've already read and recommend to everyone? I think I've only read one 2017 early, but thankfully it was one that I gave five-starred and have already recommended to a few friends: My (Not So) Perfect Life by Sophie Kinsella. It was a lovely and charming read! I haven't really been on the lookout for new blogs either -- it's hard enough these days keeping up with the ones I already follow! But I did add a couple kid lit blogs to my Feedly you might like to check out -- Orange Marmalade and Three Books a Night I've been following for a little while now. 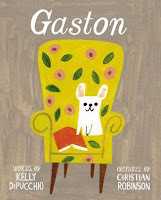 I also just added Imagination Soup the other day when I saw it recommended in a Modern Mrs. Darcy post -- it looks great, but I haven't explored too much just yet.